What a lovely day. 25th week starts. I am increasing. Oh yes!! I feel full now…yes its only 25th week and already I feel like overstuffed. I am not able to breathe much. It’s so unlike last time. But then, as they say, every pregnancy is different ;). Completes the perfect cleansing routine. Rose water and tulsi tone up the skin while aloe vera nourishes, hydrates and maintains the natural pH balance of skin leaving it fresh and clean. The plant-derived hydroxy extracts replenish moisture, provide a glowing smooth complexion and reveal fresher skin. Extracts of rose petal, tulsi leave, vetiver and aloe vera gel. Lotus herbals rose petals facial skin toner comes in a transparent bottle packaging with a spray nozzle which is secured with a transparent cap. It is easy to apply with spray nozzle and I personally like see through packagings as it makes it easy to find out how much product is left. The packaging is sturdy and travel friendly. I love using rose water and this is something which is always there with me since I was in school. Rosewater can be used in face packs, as toner or in eyes, so Lotus herbals rose toner was a must try for me. It works great as a toner. It leaves the face with a cool and refreshing sensation. It has a pure rose fragrance, which I really like. A little quantity is enough for full face. It gets absorbed in skin easily leaving skin moisturised. 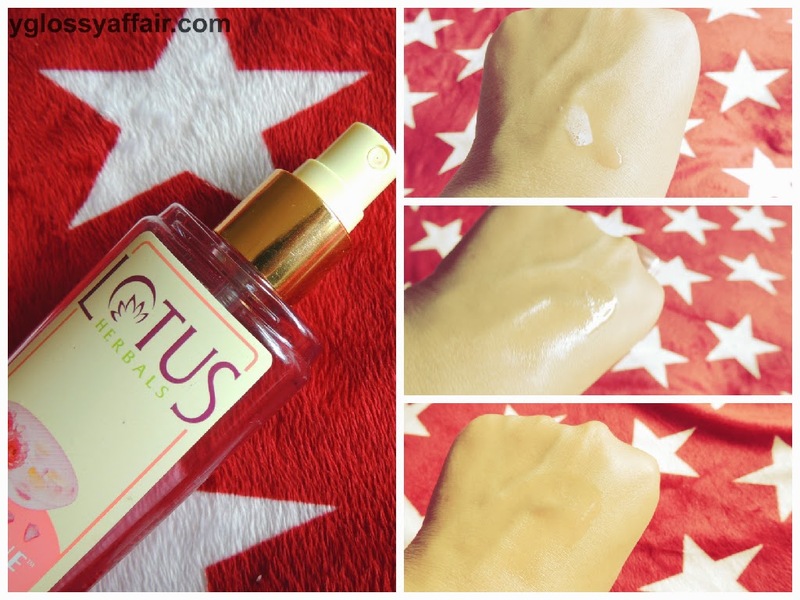 But, as I have oily skin, I found it little sticky as my face doesn’t need that much moisture and that too in summers. Though it’s not greasy yet gives an oily feeling. But it is definitely good for normal to dry skin beauties, mine is super oily. I have friends who swear by this product and are using it for years. I don’t use it in my CTM routine as didn’t find it that good but as a freshener. Best thing is its alcohol free and made up of purely natural ingredients. Didn’t suit my oily skin. Feels a bit sticky on the skin. It is something I would not repurchase, can’t even use this bottle so I am thinking of giving it to someone. It hasn’t worked for me the way I wanted and expected. But I would say you can always give this toner a try as this works amazingly for combination to dry skin and if it hasn’t worked for me, never means the same for you. Dry skin beauties, you can surely enjoy this rose toner :). This is definitely not for me! I was eagerly waiting for review of this product ! I like using rose water specially in summer ! Love the original form of rose water on my skin than any other stuff. But this, i agree, is good for those with dry skin. I like its ingredients, might try it out! Maybe I should try this product, I think it will suit me since I have dry skin. Oh this look great but I have oily skin so better no. Toner is a staple in my skincare routine. I love the packaging on this one…it is really pretty and so fresh looking. I tried it once and It also didn't suits me even I have combination skin. Great post hun, i love it might have to get it my skin goes bare dry thanks for sharing. Should do good for my combination skin I suppose. Can imagine the heavenly rose scent.